So much about overall good health starts with a happy gut; its happiness is dependant on our gut microbiome, the ecosystem of beneficial bacteria that resides throughout our gastrointestinal tract. Our microbiome is made up of organisms such as bacteria, fungi, yeasts and surprisingly viruses, which help to fight other pathogenic bacteria in our gut. Many factors can disrupt its balance, such as long term stressors, medication, illness, poor diet and genetics. The beneficial bacteria found in our gut helps to break down our food by absorbing nutrients and eliminating any toxins during the digestive process. Some of its many other vital roles include; strengthening our immune systems and keeping our hormones balanced by supporting the detoxifying process in the liver. Processed sugary/fatty foods, stress, alcohol as well as many medications including NSAIDs, can cause imbalances in our gut microbiota. Simply this means that there isn’t enough of the good bacteria responsible for keeping us well to fight off bad bacteria that inevitably enters our system through the environment, or common pathogens that live quietly in small numbers in our gut (although these don’t typically cause us any harm). Our gut microbiome also communicates with our central nervous system along the gut-brain axis and can influence our mood. From immunity to digestive health, mood stability to hormone detoxification, the microbiome is now known to be super essential to how well we function and feel. This complex network of communication is quickly becoming more recognised as a key factor in understanding overall health. Signals of imbalance in our gut microbiome include symptoms such as bloating, gas, loose stools and constipation. But considering the reach our gut microbiome has throughout the body, its dysbiosis can also lead to issues such as a weakened immune system, depression and hormone imbalances like PMS. If you are experiencing any of these symptoms or conditions, you may want to start using probiotic supplements and including probiotic foods into your diet. Keep in mind though that different symptoms will determine which strain of probiotic will be best suited to you. Speak to a health professional about which supplementation will work best for you, especially if your symptoms go beyond mild digestive discomfort. Probiotics are beneficial bacteria found in supplement form or in fermented food products, that are known to support the gut microbiome. Supplementing either daily with probiotics or as part of a gut rehab programme, can help to keep levels of good bacteria topped up. 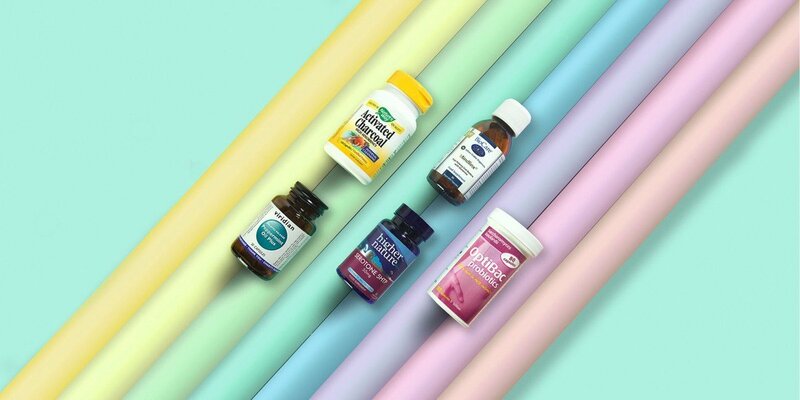 Supplementing: A good starting point is to look for formulations that contain the species Lactobacillus and Bifidobacterium and do a little research on which strains and genus variations within these species might work best if you have specific health concerns. Quality can be better than quantity when it comes to probiotics. Some probiotics may be effective as a 1-10 billion colony forming units (CFU) daily dose, whereas others may require more like 20 billion CFU per dose to be effective. Higher doses of specific strains might be what you need if there are more persistent gut issues or mood concerns like depression, so seek some advice from an nutritional health professional to get onto the right probiotic protocol. Probiotics are usually well tolerated but higher levels may lead to mild digestive disturbances. Foods: Food is also medicine when it comes to gut health; fermented foods create probiotics naturally through the process of fermentation. This live bacteria is found in foods such as plain yoghurt (avoid the sweetened ones as sugar can be a gut irritant), kefir (a fermented drink made from dairy milk) and fermented vegetables like sauerkraut and kimchi. Vegan yoghurts and kefirs, which also contain probiotics, are more widely available these days so you can get away with avoiding dairy if that’s what your body needs. Replace beer and ciders with kombucha (fermented tea) and even better, avoid alcohol altogether whilst healing your gut as the alcohol can just end up counteracting all the work you and the probiotics are doing to support your digestion. Prebiotics boost our beneficial bacteria levels by acting as fertilizer for the bacteria in the gut, so these are also worth introducing into your diet. Include oats, bananas and cacao into your morning breakfast, raw onions into your salad, and a touch of garlic into your stir fries, and you’re sorted! If for any reason you need to go on antibiotics or strong medications, the above is a key strategy to support your gut. Antibiotics, like the name ‘anti’ suggests, kill all of our bacteria to fight off infections - the good go with the bad though so make sure that you replenish.